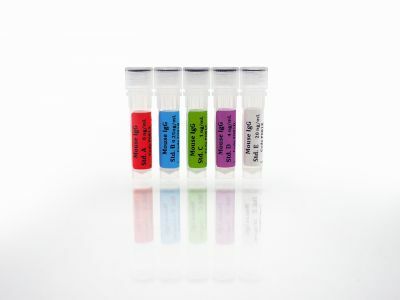 The antibodies used in this kit are mouse immunoglobulins, heavy and light chain specific. They do not cross-react significantly with immunoglobulins from other species, but they will cross-react to varying degrees with other mouse immunoglobulins such as all IgG isotypes, IgA, and IgM. 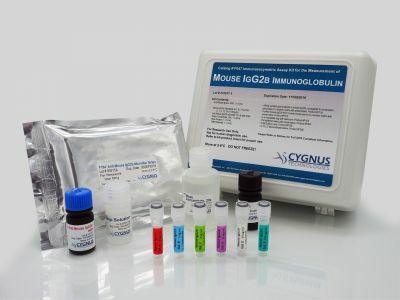 All of the Mouse Immunoglobulin ELISA Kits can also be used to quantitate mouse immunoglobulin levels in serum of other animals administered mouse monoclonal antibodies in research studies.